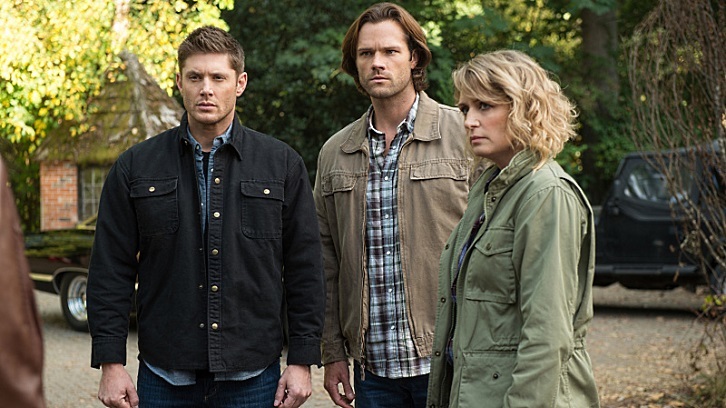 THREE WINCHESTERS ARE BETTER THAN ONE – When hunters gather together to celebrate the life and tragic death of one of their own, Sam (Jared Padalecki) Dean (Jensen Ackles) and Mary (guest star Samantha Smith) must take action when a demon starts picking off hunters one by one. John Bedham directed the episode written by Steven Yockey (#1206). Original airdate 11/17/2016.